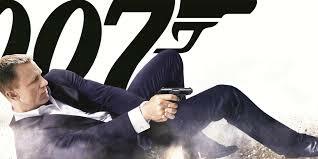 In this episode, Dave talks about the new James Bond classic, Skyfall. Britt shares her hatred of Pierce Brosnan and her love of the new Bond, as well as shedding some tears about a beautiful automobiile. Dave discusses obsolescence in terms of CEO's, older adults, and therapy. Finally, Dana from How is this Movie? joins the show to talk about his issues with Skyfall and his hopes for Spectre.